Wonderful 9 bedroom, 9 bathroom villa. Great for family reunions of up to 18 persons.! Resort membership for all guests. 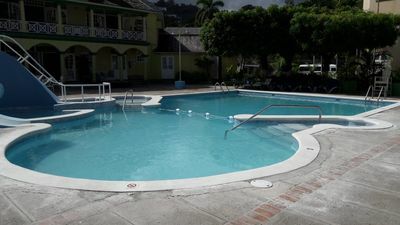 Summerhill Villa is located in the prestigious Springfarm, Montego Bay area. 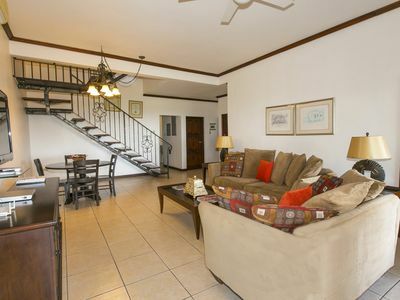 This spacious three story villa boasts 10,000 square feet of elegant living. 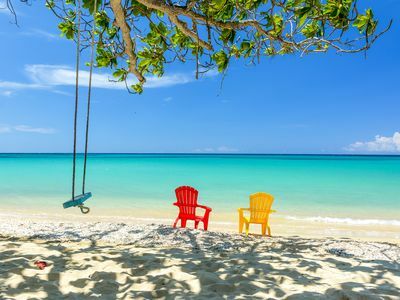 *** A first class Half Moon Club Beach and resort membership ! (click) Keeping the kids busy at HALF MOON! 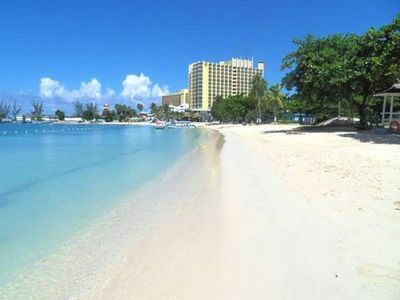 Half Moon Resort Membership Benefits: One of Jamaica's most prestigious and famous resort on island! 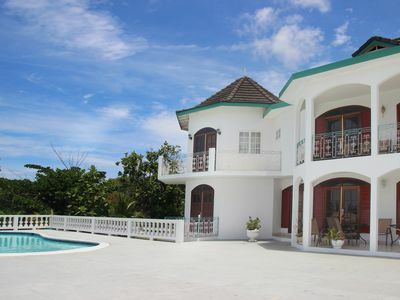 Summerhill Villa is one of the most fabulous villas in Jamaica located in the Montego Bay area. 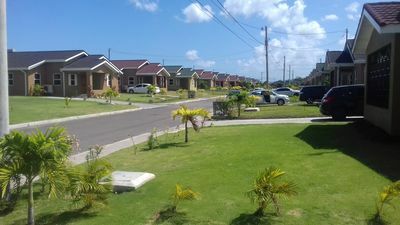 Being one of the newest Jamaica villas in the region, the three-story home offers 10,000 square feet of elegant and comfortable accommodation. The magnificent Spanish styled architecture has traditional vaulted ceilings, glistening marble and wood floorings and a beautiful chandelier. The grand entrance, with an impressive foyer and a magnificent stairway leading to the first floor, leave the guests impressed by the opulence. Artistically arranged oriental rugs, antique furnishings and treasured pieces of art and collectibles, form the décor of this breathtaking villa. 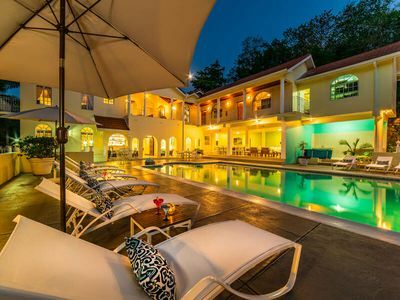 Summerhill Villa provides the setting for the perfect wedding at villa rentals in Jamaica. A private driver can be hired to greet guests at the Montego Bay airport and transport them to Summerhill Villa. 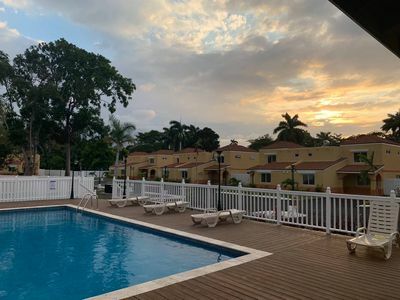 The next fifteen minutes of scenic beauty welcomes them as they drive past many seaside resorts, the entrance to the world renowned Half Moon Golf Course and Country Club and several beautiful homes, up the hill to the gorgeous hillside holiday home. On entering the gates, up the short driveway, they are welcomed with a refreshing drink to relax and unwind from the journey. 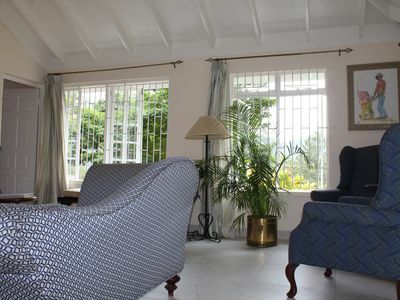 A well-trained staff at Summerhill Villa ensures that the guests have a safe, leisurely, relaxed and secluded atmosphere. They aim to please and work towards fulfilling the guests' every wish and desire. A holiday at the magical and tropical setting of Summerhill Villa can be as active or as laid back as the guests' desire. Summerhill Villa offers nine bedroom accommodations. Each luxurious bedroom has a private balcony that can be accessed through French doors, en suite bathrooms with lavish Italian fixtures, walk in closets, ceiling fans and personal stereos. Each bedroom can be a personal self-contained hideaway. Fresh flowers from the villa's garden are placed in the bedrooms. The nightly turndown service is an everyday luxury as is the chilled water placed at the bedside. The master bedroom is an epitome of comfort and luxury. Located on the third floor, the 20' by 25' bedroom offers additional privacy. 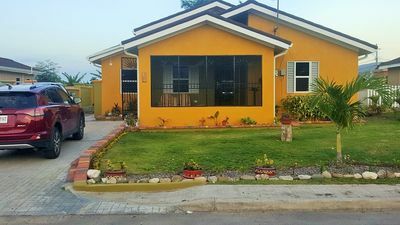 It offers a chaise lounge, an extra-large bathroom, a four poster king-sized mahogany bed, love seat, three seat couch, ceiling fans, television and a writing table. 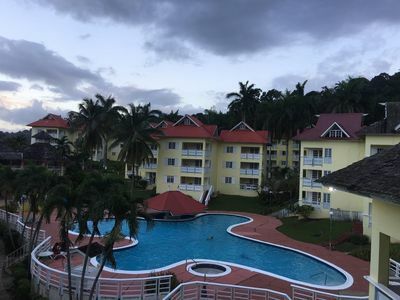 The balcony can be reached through French doors and offers a picturesque view of the Caribbean Sea, the Summerhill Villa estate and Half Moon Resort. A large, airy, bright and comfortable sitting area, with decorator chairs and tables separates the bedrooms, being an excellent place for afternoon tea or snacks. This area flows into a patio that overlooks the pool area and the ocean. The large pool and expansive pool deck offer a stunning setting for entertaining. Summerhill Villa offers several options in places to dine and all meals are served by the butler. Breakfast, family gatherings and evening cocktails are generally on the covered patio. The beautiful gazebo is perfect for a secluded romantic dinner for two. The formal dining room is an ideal setting for sit-down candlelight dinners for eight guests. The cook prepares lavish meals for every mealtime using only the freshest ingredients. The villa's estate is equally very impressive. Encircled by vibrant tropical flowers, a beautifully landscaped lawn, fruit trees, walking paths and a garden sitting area, the fabulous Summerhill Villa is one of the most magnificent luxury villas Jamaica. The sitting area in the garden has been designed for private moments, meditation or a garden wedding ceremony. Summerhill Villa has a full staff including a cook, butler, housekeepers, poolman, laundress and gardeners. Summerhill Villa is only a few minutes' drive away from three world-class golf courses, including the Half Moon Resort Course, Cinnamon Hill and the new Ritz-Carlton White Witch. Also available close by are tennis facilities, beaches, restaurants, craft markets and water sports. Each bedroom has a private balcony accessed through French doors as well as its own large walk in closet. Private bathrooms are in fine Italian marble and lavish fixtures, ceiling fans and personal stereos make each room a self contained hideaway. Fresh flowers are placed in your room daily, and a nightly turndown service with chilled water waiting at your bedside. The incredibly spacious 20' by 25' master bedroom is the epitome of luxury and comfort. 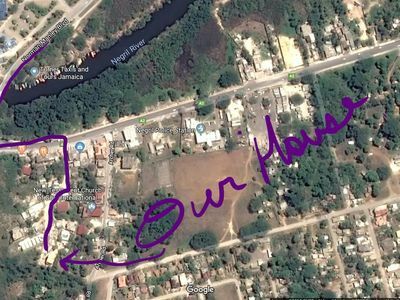 Located on the third floor, it contains an extra large bathroom suite, chaise lounge, four poster mahogany canopy king size bed, three seater couch and love seat, TV, ceiling fans and a writing table. The French doors open to a balcony with a picturesque 180 degree view of the Caribbean Sea on one side. 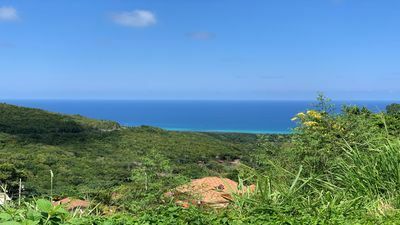 On the other side is a spectacular view overlooking the entire estate with Half Moon Resort. 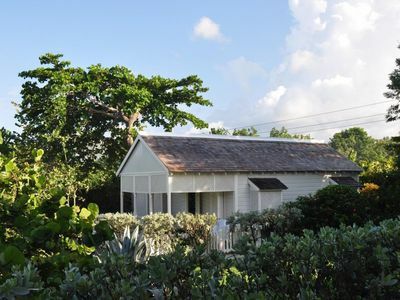 This slightly smaller 16'x 14' bedroom, and is called the Safari Room, has a full bathroom, queen size bed, sitting area, and a balcony with a 180 degree view of the ocean. From other windows in the bedroom, you get a superb view of the pool area. Separating the other bedrooms is a comfortable, bright, airy sitting area with decorator tables and chairs ideal for afternoon tea or snacks. The area flows into a large separate patio overlooking the pool area and the Caribbean Sea. This tastefully decorated, 18' x 16' extra large bedroom with a queen-size bed, offers a queen size antique wooden bedroom set. It is tastefully decorated in peach and other relaxing earth tone colors. 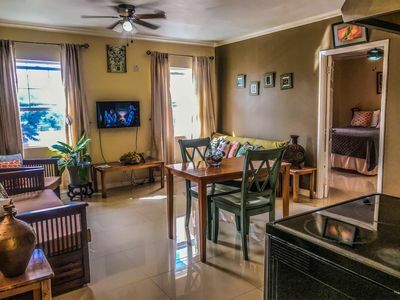 An ample sitting area, huge walk-in closets, full bathroom, and a balcony with a view of the surrounding lush vegetation give this open bedroom a tropical feel. Windows within the bedroom provide you with a commanding view of the pool area and the ocean beyond. 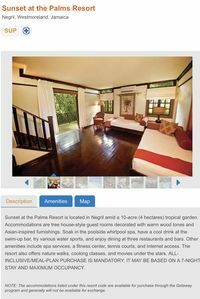 This 18' X 16' bedroom, with a kingsize bed, and is called the Nature room, is stylishly decorated with wood furniture, contains an extra large dresser, and a balcony overlooking flourishing tropical vines. An enormous window presents you a panoramic view of the beautiful Springfarm area and the sea beyond. This intimate 16' x 14' bedroom, located on the main level, is cheerfully decorated in tropical colors with a loveseat, two entrances, and French doors opening out onto the patio, with a awe-inspiring view of the ocean; particularly when the sun sets on the Caribbean Sea. This room is also perfect for guests who may not be able to climb the steps to the third floor bedrooms. Queen size bed. These two bedrooms are now located upstairs and are the newest addition, each having it own ensuite bathroom. Each bedroom has 2 twin bed. These room sizes are large at about 17 ft x 12 feet. Underneath on the ground floor is the outdoor dining areas that open up out to swimming pool. This is a covered areas so ok even if it rains. Bedrooms 8 and 9 (Paradise 1 and Paradise 2) - For the utmost in privacy, a luxurious 2 bedroom suite is located on the ground level, both bedrooms with king size beds and TV. Fine Italian granite and marble, parquet floors, a Jacuzzi bath, a kitchenette/ bar and private verandah appoint this suite. Guests can choose to have their meals served in the main dining area or within the suite itself. This delightful area is the perfect hideaway for honeymooners. Breakfast and less formal meals are usually served on the covered patio. The patio area has a full service bar, and a built in grill where our chef will prepare freshly grilled meals at your request. The perfect setting for evening cocktails or other family gatherings. For a secluded romantic dinner for two, we suggest under the stars in our beautiful gazebo. The formal dinning room has a warm, comfortable setting for entertaining at least eight guests. The table settings glisten with fine china and crystal glassware placed upon imported table linen. An ideal setting for sit-down candlelight dinners. 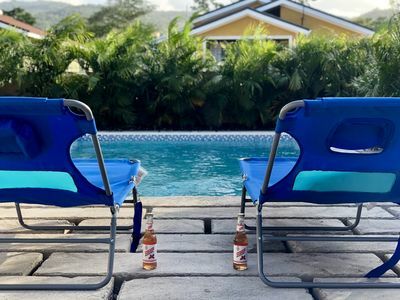 Your cook prepares all your daily meals using only the freshest ingredients for fresh tropical fruits drinks, appetizers, homemade soups, authentic Jamaican dishes and other meals according to your personal request. Summerhill Villa is spacious enough to hold gatherings in a variety of indoor and outdoor settings. On the top level of the villa is a comfortable, bright, airy sitting area furnished with decorator tables and chairs. 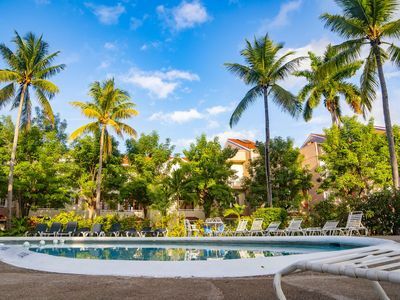 The area flows into a large separate patio overlooking the pool area and the Caribbean Sea. -Renovations completed to the outdoor bar area and patio. 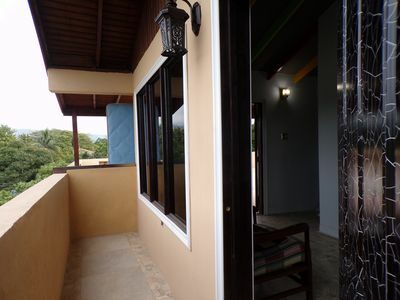 -The first bedroom is Tropical Bedroom on the main level which has a pool view and doors that open to the patio. -The second bedroom is upstairs and is the Sunrise Bedroom which is the Master with King sized bed and garden view. -The sixth bedroom is Hideaway 1 and was recently renovated. -Lowest level of the villa houses the 8th and 9th bedroom which are connected but can also be private. These two bedrooms have exterior access from main house. Shares a covered verandah that has a small kitchenette with mini fridge and microwave. -The 8th bedroom is Paradise One and has a redone bathroom with a shower. -The 9th bedroom is Paradise Two and has a bathtub and shower. "Little Paradise" on a peninsula by the sea! Bella, Secured, Luxury 2 bed room 2.5 Villa with panoramic views of the city .